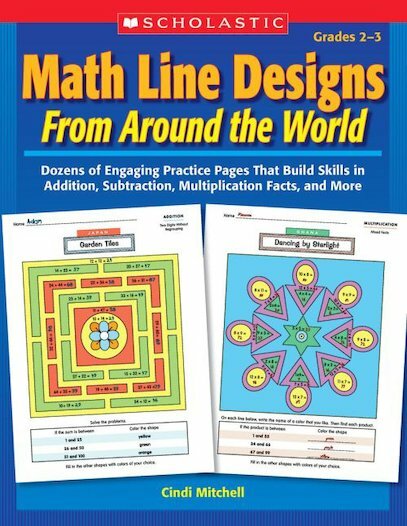 Build and reinforce essential math skills with dozens of activity pages that feature striking designs based on motifs from cultures around the world. First students solve math problems and then follow a key to color the designs. Includes two- and three- digit addition and subtraction (with and without regrouping), place value, estimation, multiplication and division facts, and more. A motivating way for students to get the practice they need. For use with Grades 2–3.